We are committed to provide an enormous variety of ''Long Ramp Tungsten Steel Bucking Bar'', to our prestigious customers. Optimum quality of tungsten and steel metals are used in the manufacturing of this kind of bucking bar. It is broadly used in automotive, nuclear and many other sectors. 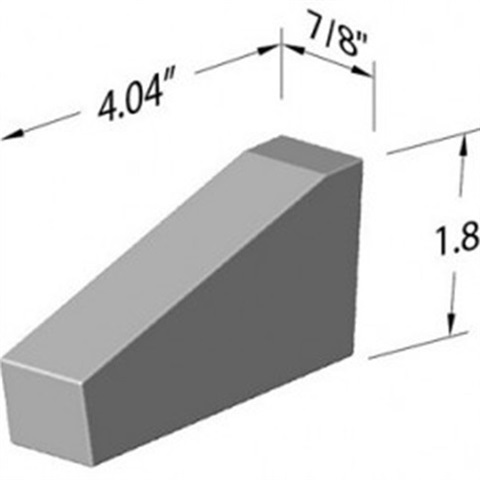 This Long Ramp Tungsten Steel Bucking Bar is usually placed on the back side of the work surfaces, which fasteners the applied impact. Whereas the intermittent tool head and handle parts absorb the spacer provided in between to handle shock loads by recoiling the impact in shear and compression.